Some things you might want to keep in mind before you start placing your tiles. Do you know what type of tiles you want to use? Knowing what tile, you will want to place down whether it is glass, porcelain or wood tiles will determine the rest of the materials used. Once that is set you will want to choose the type of mortar. You will also want to get a piece of flat wood or metal board, so you can level the mortar before it dries. You will also want to get grout, a square to lay the tile and something to cut the tiles. Making a lot of mistakes and wasting many tiles. 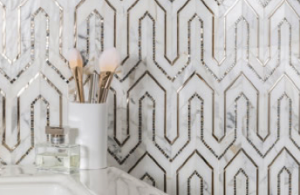 If you are using patterned tile you will want to make sure that when you cut it, you line up the patterns. 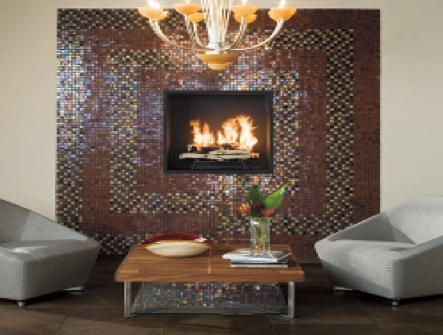 You will want to make sure you transition ay tiles that are on the ends or against the wall. If you don’t transition them properly it will look unfinished and unpolished. Figuring out how you will handle these transitions is part of the planning process, because you will need to order these pieces with your tile. One more tip you want to keep in mind is the thickness of your tile. Tile can become heavy and you will want to make sure your floor joists can handle the weight and put down ¾-inch plywood with ½-inch cement board on top. Check that your walls and floors are flat with a long straight-edge. You will want ot make sure your floor is level if you are going to use a baseboard-style trim piece. Also keep in mind that glass tile expands and contracts at a higher rate than other tiles and is more prone to stress fractures. If you have any questions or are unsure you can contact one of our specialists at Plumbtile.